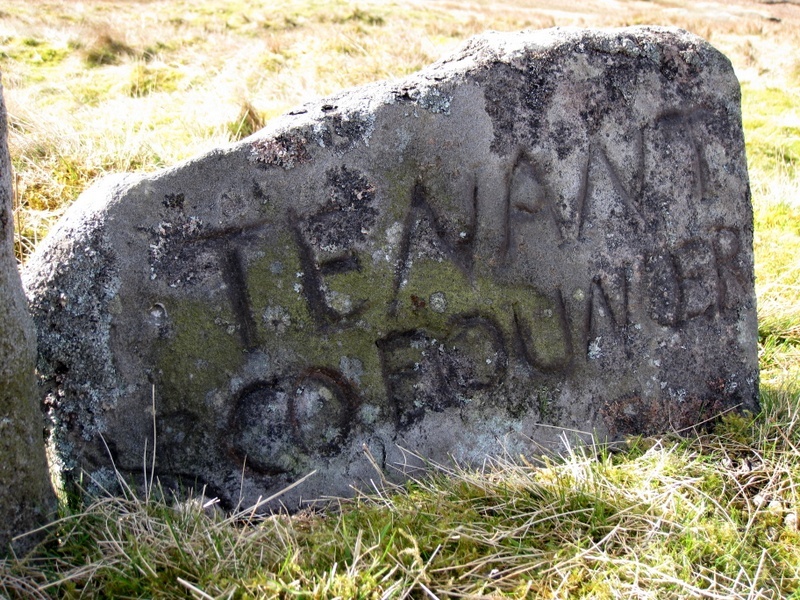 This small stone lies alongside Meer Stone 41, and is a founder stone marking the south-east corner of the 6 meer lease held by John Tennant & Co which appears on the Brailsford survey of 1781. Note that an 'n' is missing from the name. A drawing of the inscription may be found on page 13 in The Mines of Grassington Moor and also in Arthur Raistrick's paper The Founders' Meer in the NCMRS 1962-1963 Transactions (see references). Tennant's leased four meers at this time, and three others of their stones have also been recorded as Meer Stone 54, Meer Stone 57, and Meer Stone 59. The death of John Tenant is recorded in the Linton Parish register for 1792.